Alfa Gold L.L.C. was established in 2009 and has been specializing in wholesale trade of gold bars and 21 Karat gold jewellery from our shop located in Sharjah Gold Souq. 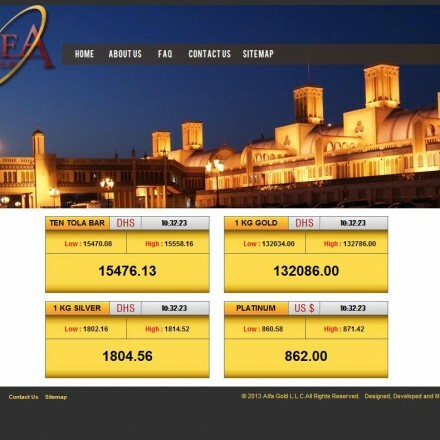 Alfa Gold also provides a platform for the purchasing and sale of gold. With our unique online platform we facilitate efficient transactions that make it easier for the customer to buy and sell at their convenience. Our Alfa Gold LLC reviews are powered by Bullion.Directory - The Metals Investment Portal.